A designer outdoor wood fireplace that is the centerpiece of the outdoor space. 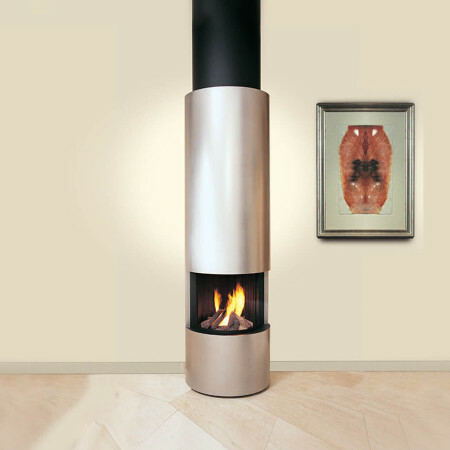 The elegant, cylindrical body is from stainless steel with a matt finish. The outdoor wood fireplace can easily be moved to different locations meaning the flames can be enjoyed anywhere outside. A mesh fireguard is provided for spark protection and the ash pan is completely removable for easy cleaning. If preferred, this outdoor fireplace could equally be designed as a gas fire. If you are interested in this design, please do not hesitate to get in touch.